Congrats, you’re in the market to buy your first car! While buying your first car is extremely exciting, it can also be very overwhelming. Aside from determining the vehicle style and model you want, there are several financial elements you need to understand before stepping foot in the dealership. 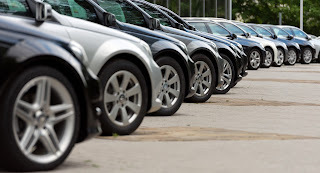 Here are three things you need to know before you go to a car dealer in NJ. Before heading to the dealership, you need to establish a budget. In addition to the cost of the car, take all the costs of car ownership into account, including car insurance, gas, maintenance, and repairs. When shopping for cars, don't fixate on the monthly payment. Consider the entire cost of the car to ensure it's something you can afford. Most car buyers will need an auto loan to finance a car. The interest rate and other loan terms you're offered will depend on your credit history. You can receive a free copy of your credit report once a year from the three major credit bureaus: TransUnion, Experian and Equifax. Request a copy of your credit report, and make sure it's accurate. If you find any inaccuracies, contact the credit-reporting agency to have it corrected. Also get your credit score. Lenders use your credit score to determine your creditworthiness. Knowing your credit history and score tells you what offers you can expect to receive from a lender. If you'll need a loan to finance your new or used car, then you should understand the various options available to you. One option is to get a loan from a bank or credit union. In this case, when you buy the car you will sign a contract with the dealer and use the bank loan to finance the vehicle. Another option is to finance through the dealership. In this case, you will enter a contract directly with the dealer. Car dealers like Autoland Toyota may offer incentives when you finance your car through them. Even if you plan to finance through the dealership, you should get pre-approved for a car loan. Pre-approval lets you know what lenders are willing to offer you and may also help you get better loan terms from the dealer. When choosing an auto loan, take into account the loan amount, interest rate, and repayment period.